“Homeowners and landscape architects frequently choose segmental concrete pavement for residential and commercial projects because of its visual appeal and durability. PaveShare.org helps the next generation of landscape architects address this growing demand,” Kendall Anderegg, ICPI Board Chair. The Interlocking Concrete Pavement Institute (ICPI) today announced that the PaveShare.org open-education curriculum for landscape architecture students and educators is now available through the Land8 Landscape Architects Network. 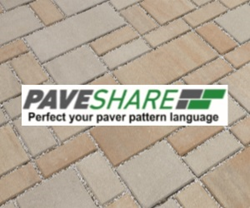 Students and educators can participate in the PaveShare.org curriculum by visiting http://www.land8.com and clicking on the “Resources” link above the masthead. ICPI is the trade association representing the growing industry of segmental concrete pavement systems in the United States and Canada. The association’s membership includes producers, contractors, suppliers, design professionals, and distributors. ICPI is the authority for concrete pavers, which are universally recognized as the best value for pavement systems. The association delivers education and technical guidance leading to awareness, acceptance and use of segmental concrete pavement systems in the United States and Canada. For more information, visit http://www.icpi.org.